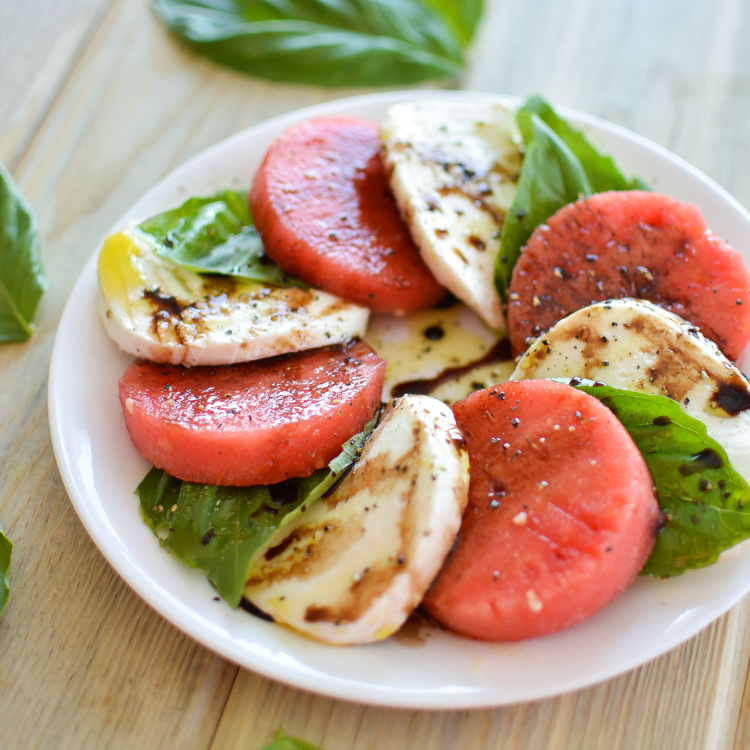 Watermelon caprese is the perfect spin on a traditional appetizer. Drizzled with an easy balsamic reduction, this recipe is sure to be a hit! 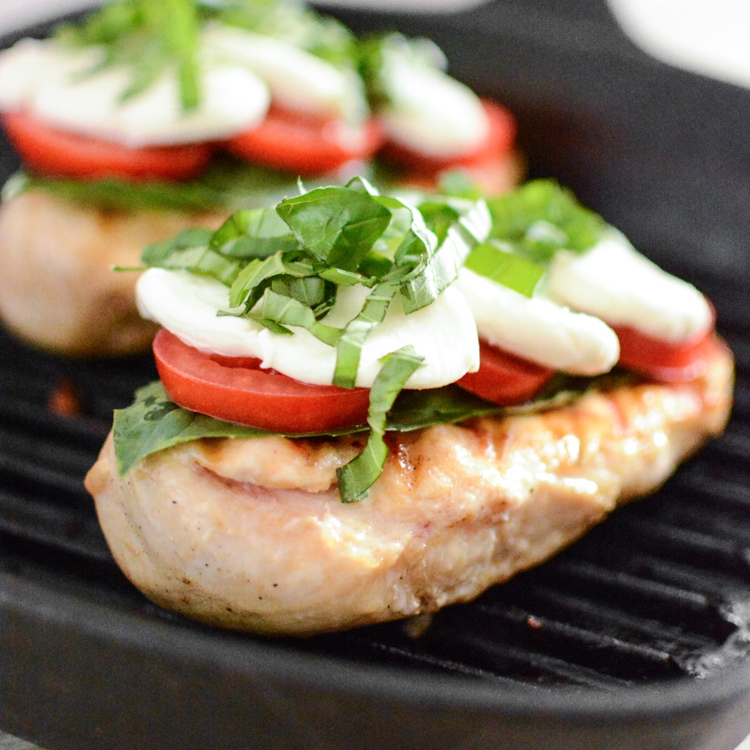 This grilled chicken caprese recipe is easy, fresh and delicious!